Mountwood Park outside Parkersburg has more than 50 miles of top-rated trails, with everything from traditional hiking to ATV excursions. Mountwood Park is home to some of the oldest and most-traveled bike trails in the region. In fact, there’s an entire organization, the River Valley Mountain Bike Association, dedicated to keeping these trails top-notch. 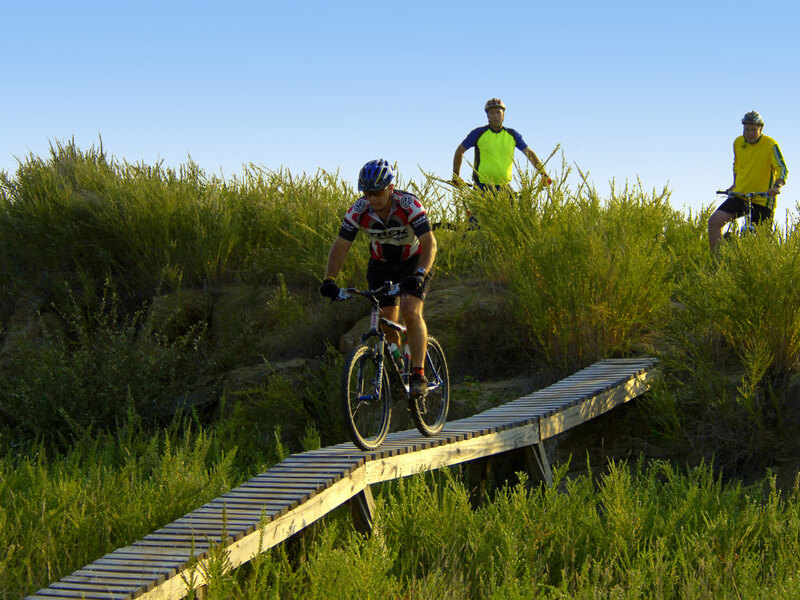 Spend the day exploring almost 30 miles of singletrack biking glory—all the trails are designed according to International Mountain Bicycling Association standards. Mountwood’s biking trails aren’t the most technically challenging out there, but you’ll love the fun switchbacks that wind up the hills. And, if competition is in your biking blood, Mountwood is home to the Challenge at Mountwood, of one of the most popular bike races in West Virginia. If you’re not in the mood to be super active, but your pup has seemingly endless energy, head to the Paws to Play dog park at Mountwood. It’s fenced in, open all year long, and even has water for pets in the summer. It clocks in at a whopping 22,000 square feet, and has separate areas for small dogs and big dogs. The dog park is free to use, but if you can donate, consider popping some money in the canister at the gate to help with upkeep. From April through October, bring your horse to Mountwood. The park has specially designated horseback riding trails, and all the facilities you need for you and your horse to spend the night. You can grab a shower while your four-legged friend hangs out in a horse stall at the first-come, first-served campsite. Bring your discs and perfect your flick on the frisbee golf course at Mountwood. Throw around trees and through meadows on the 18-hole course. It’s free to play. Take Volcano Road, and you’ll see the course about a mile past the Marina parking lot. If you’re looking for a motor-powered adventure, roar over to the ATV trails on the north side, off of US route 50 not far from the campgrounds. Get your thrills on 25 specially crafted miles with grades from easy to moderate, and even a few that hit the difficult mark. If you’re unsure about your ATV abilities, don’t worry. The trails are clearly marked so you won’t end up on a route that you can’t handle. 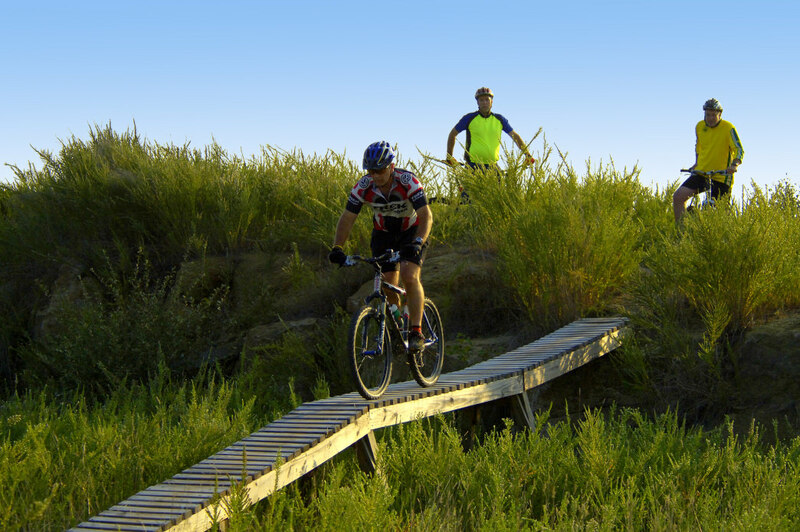 It’s a great spot for beginners to learn, but don’t forget to get your trail permit! There are so many unique ways to get outside at Mountwood that it can be easy to overlook the good-old-fashioned hike. 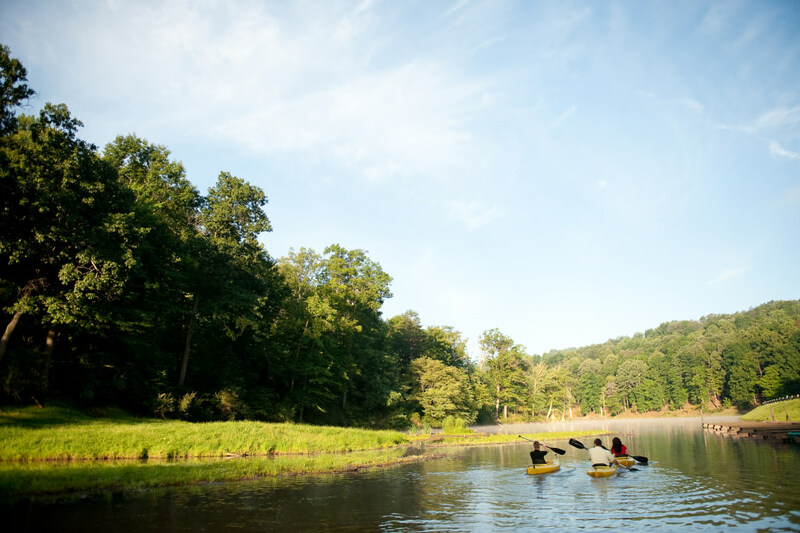 Whether you are a casual day hiker or experienced trail runner, choose from one of the 24 trails that weave through the woods and along the shoreline of the 50-acre lake.